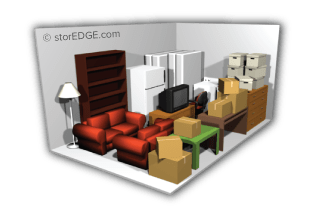 Finding the perfect storage unit for your needs is just your first step. When you start packing and moving your belongings, you want to make sure you’re doing it correctly. We’ve put together these tips to help you keep your belongings in great shape. We’ve broken down the tips by category with specific tips for students and military members. Whether you’re winterizing a vehicle or storing your wedding dress, we have tips for you! 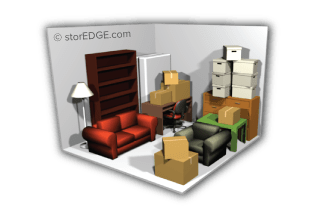 If you have any questions about proper packing or moving, don’t hesitate to call or stop by our facility and ask one of our knowledgeable managers! 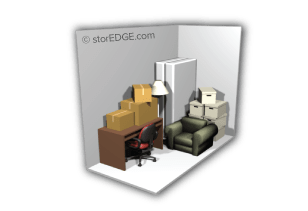 If you aren't sure which storage unit size is right for your needs, check out our quick size guide to get started. You'll be ready to rent in no time! Think of it like a standard closet. Approximately 25 square feet, this space is perfect for about a dozen boxes, a desk and chair, and a bicycle. It’s like a standard walk-in closet. 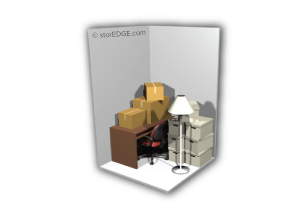 Approximately 50 square feet, this unit holds a dozen boxes, a desk and chair, and a mattress and box spring. The size of a large walk-in closet, this rental can hold the contents of a small studio apartment, including small furniture, boxes, and bookcases. Approximately 100 square feet, this space can hold the contents of several rooms. You could fit an entire bedroom set, a couch, and a kitchen table. 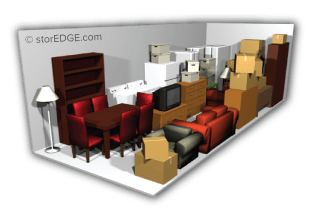 Use this space to store the contents of a small house or a two-bedroom apartment: two couches, two mattress sets, a coffee table, fridge, and TV. 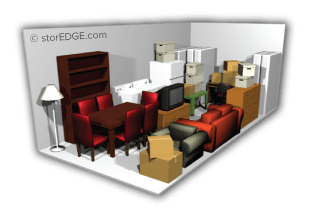 The size of a one-car garage, this space can hold a fridge, washer and dryer, three mattress sets, a dining room set, bookcases, couches, and boxes. This space can fit a couple of couches, an oversized arm chair, dining room set, fridge, washer and dryer, entertainment nook, bookcases, and more. 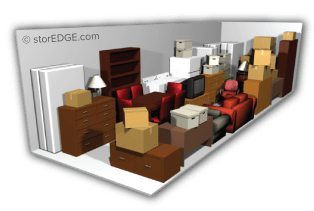 Fit the contents of a three- to four-bedroom house. This 300 square foot space holds many mattress sets, dining room sets, couches, and boxes.